Introduction: Prison, as the most important place for the transmission of infectious diseases, has particular importance, and prison populations are at high risk for infectious diseases like Hepatitis B & C. This study aimed to determine the prevalence of Hepatitis B & C among male inmates in six prisons of different provinces in Iran in 2012. Methods: In this cross-sectional study, 2120 male prisoners from six prisons of Tehran (n=408), Kermanshah (n=400), Khorasan Razavi (n=400), Kerman (n=312), Isfahan (n=300) and Fars (n=300) were examined. Blood samples were tested for Hepatitis B surface antigen (HBsAg) and antibodies to HCV (anti-HCV) by ELISA. Results: The mean age of the prisoners was 37±13 years with a range of 25–59 years. In total, 73 (3.4%) prisoners were anti-HBc positive and 273 (12.9%) prisoners were anti-HCV positive. The lowest prevalence of Hepatitis B and C was observed in Kerman (respectively, 2.52% and 3.2%) and the highest prevalence was seen in Isfahan (respectively, 6.3% and 33.6%). Conclusions: We found that the prevalence of Hepatitis B and C among prisoners is considerable. Nevertheless, prisoners routinely are not evaluated and screened for these infections. It is recommended that those who are responsible should apply some policy for reducing and preventing such transmissions in prisons. Barros LAS, Pessoni GC, Teles SA, Souza SMBd, Matos MAd, Martins RMB, et al. Epidemiology of the viral hepatitis B and C in female prisoners of Metropolitan Regional Prison Complex in the State of Goiás, Central Brazil. Rev Soc Bras Med. Trop. 2013;46 (1):24-9. Harzke AJ, Baillargeon JG, Kelley MF, Diamond PM, Goodman KJ, Paar DP. HCV-related mortality among male prison inmates in Texas, 1994-2003. Ann Epidemiol. 2009;19(8):582-9. Field MG. HIV and AIDS in the FormerSoviet Bloc. N Engl J Med. 2004;351(2):117-20. Macalino GE, Vlahov D, Dickinson BP, Schwartzapfel B, Rich JD. Community incidence of hepatitis B and C among reincarcerated women. Clin Infect Dis. 2005;41(7):998-1002. Fox RK, Currie SL, Evans J, Wright TL, Tobler L, Phelps B, et al. Hepatitis C virus infection among prisoners in the California state correctional system. Clin Infect Dis. 2005;41(2):177-86. Holsen DS, Harthug S, Myrmel H. Prevalence of antibodies to hepatitis C virus and associationwith intravenous drug abuse and tattooing in a national prison in Norway. Eur J Clin Microbiol Infect Dis. 1993;12(9):673-6. Azarkar Z, Sharifzadeh G. Evaluation of the Prevalence of Hepatitis B, Hepatitis C, and HIV in Inmates with Drug-Related Convictions in Birjand, Iran in 2008. Hepat Mon. 2010;10(1):26-30. Stark K, Herrmann U, Ehrhardt S, Bienzle U. A syringe exchange programme in prison as prevention strategy against HIV infection and hepatitis B and C in Berlin, Germany. Epidemiol Infect. 2006;134(4):814-9. Niveau G. Prevention of infectious disease transmission in correctional settings: a review. Public Health. 2006;120(1):33-41. Prison health: a threat or an opportunity? Lancet. 2005;366(9479):1. Rotily M, Weilandt C, Bird SM, Kall K, Van Haastrecht HJ, Landolo E, et al. Surveillance of HIV infection and related risk behaviour in European prisons A multicentre pilot study. Eur J Public Health. 2001;11(3):243-50. Saffar H, Ajami A, Saffar MJ, Shojaei J, Sotudeh-Anvari M, Shams-Esfandabad K, et al. Prevalence of hepatitis B virus seromarkers in young adults vaccinated at birth; impact on the epidemiology of hepatitis B infection in iran. Hepat Mon. 2014;14(5):e17263. Alavian S-M. Ministry of Health in Iran is serious about controlling hepatitis B. Hepat Mon. 2007;7(1):3-5. 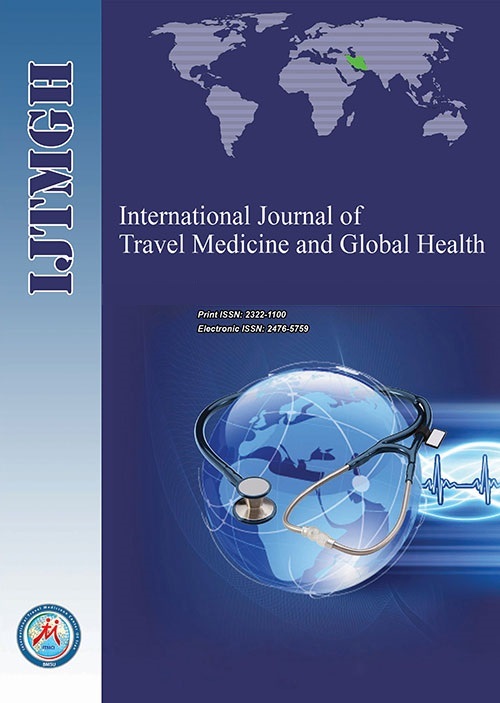 Alavian SM, Hajarizadeh B, Ahmadzad-Asl M, Kabir A, Bagheri-Lankarani K. Hepatitis B Virus infection in Iran: A systematic review. Hepat Mon. 2008;8(4):281-94. Ghanbarzadeh N, Nadjafi-Semnani M. A Study of HIV and other sexually transmitted infections among female prisoners in Birjand. J Birjand Univ Med Sci. 2006;13(3):9-15. Javadi A, Pourahmad M, Ataei B. Relationship between duration and prevalence of hepatitis B & C and HIV in Iranian prisons. J Med Counc Iran. 2006;4(24):358-64. Crofts N, Stewart T, Hearne P, Ping XY, Breshkin AM, Locarnini SA. Spread of bloodborne viruses among Australian prison entrants. BMJ. 1995;310(6975):285-8. Allwright S, Bradley F, Long J, Barry J, Thornton L, Parry JV. Prevalence of antibodies to hepatitis B, hepatitis C, and HIV and risk factors in Irish prisoners: results of a national cross sectional survey. BMJ. 2000;321(7253):78-82. Malliori M, Sypsa V, Psichogiou M, Touloumi G, Skoutelis A, Tassopoulos N, et al. A survey of bloodborne viruses and associated risk behaviours in Greek prisons. Addict. 1998;93(2):243-51. Babudieri S, Longo B, Sarmati L, Starnini G, Dori L, Suligoi B, et al. Correlates of HIV, HBV, and HCV infections in a prison inmate population: results from a multicentre study in Italy. J Med Virol. 2005;76(3):311-7. Alavian S-M, Adibi P, Zali M-R. Hepatitis C virus in Iran: Epidemiology of an emerging infection. Arch Iranian Med. 2005;8(2):84-90. Ghavanini A, Sabri M. Hepatitis B surface antigen and anti-hepatitis C antibodies among blood donors in the Islamic Republic of Iran. East Mediterr Health J. 1999;6(5-6):1114-6. Malekzadeh R, Khatibian M, Hoori R. Hepatitis in Iran and the World, epidemiology, diagnosis and treatment. J Med Counc Iran. 1997;4(15):183-202. Zakizadeh M, Sadeghian A. Prevalence of HCV infection and related risk factors in drug-addicted prisoners. Armaghane-Danesh. 2002;97:55-64. Alvarado-Esquivel C, Sablon E, Martinez-Garcia S, Estrada-Martinez S. Hepatitis virus and HIV infections in inmates of a state correctional facility in Mexico. Epidemiol Infect. 2005;133(4):679-85. Klusonova H, Stepanova V, Cizek J, Pliskova L. [Viral hepatitis in users of addictive drugs in the Czech Republic]. Epidemiol Mikrobiol Imunol. 2004;53(2):47-54.